Back in the dimly-remembered days of fax machines and sneaker nets, Scott got his start at one of the world’s leading high-tech PR firms, working with global technology leaders, market-disrupting start-ups and everything in between. 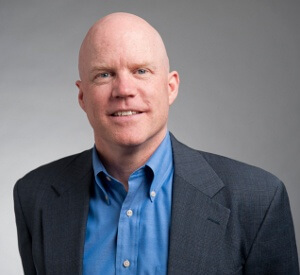 In addition to his decade of increasingly senior agency roles, Scott also devoted several years to learning how the other half lives, working on the corporate side as PR manager for a leading networking technology firm and as VP of marketing at two early-stage high-tech companies. Scott joined the Aria team in 2003 to help lead a then fledgling PR practice, and realized he had found his home in healthcare. Over the years Scott helped transform the agency into the healthcare thought leadership PR and marketing leader it is today, and in early 2014 he acquired Aria and took over the reins of the agency. After more than two and a half decades in healthcare and technology marketing, Scott has learned a lot about PR, marketing strategy, positioning and thought leadership, and he brings that experience to his work mentoring the Aria team, leading positioning workshops, writing articles and working closely with clients on strategic plans and day-to-day issues. As he learns the ropes of agency leadership, he is trying very hard not to break his first company.